Glamorgan will stage their first senior cricket match in Newport for more than a quarter of a century in the summer of 2016. They will take on Pakistan A in a 50-overs encounter on 15 July at Spytty Park. The county previously played at the Rodney Parade ground between 1936 and 1990. 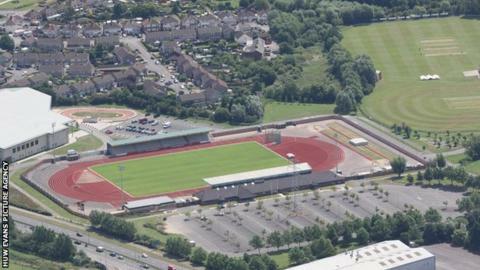 But Newport CC moved out and the ground, next to the rugby stadium, was re-developed as a school. Spytty Park has already been used for Glamorgan second team and Wales Minor Counties fixtures. Newport was the venue for Glamorgan's record individual score for many years, as Emrys Davies hit 287 not out against Gloucestershire in 1939. His score was overtaken by Steve James' innings of 309 not out against Sussex in Colwyn Bay in 2000. Remarkably Davies' score was not the highest in Newport, as England batsman Wally Hammond made 302 for Gloucestershire in the same match. The July date for Glamorgan comes the day after a T20 match away to Hampshire, and could see the county make a number of personnel changes.